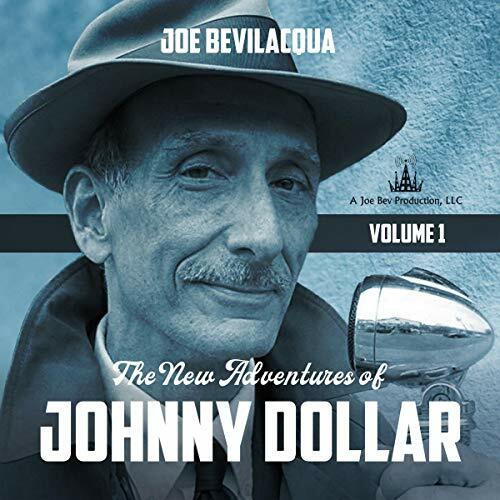 The original Yours Truly, Johnny Dollar was a radio drama that aired on CBS Radio from February 18, 1949, to September 30, 1962. The best-known incarnation was with Bob Bailey starring in "the transcribed adventures of the man with the action-packed expense account-America's fabulous freelance insurance investigator." There were 809 episodes, plus two not-for-broadcast auditions, in the 12-year run, and more than 720 still exist today out of 886 total performances. This first new volume includes: "The Suicidal Bicycle Matter", "The Clever Chemist Matter", "The Where the Elite Meet to Eat Matter", "The Thelma Ibsen Matter", "The Jack Benny Matter", "The Murder Is a Merry-Go-Round Matter", and "The Expose Matter". Plus sample chapters of upcoming Joe Bev Productions, including new episodes of The Lone Ranger, Sherlock Holmes, and The Green Lama.